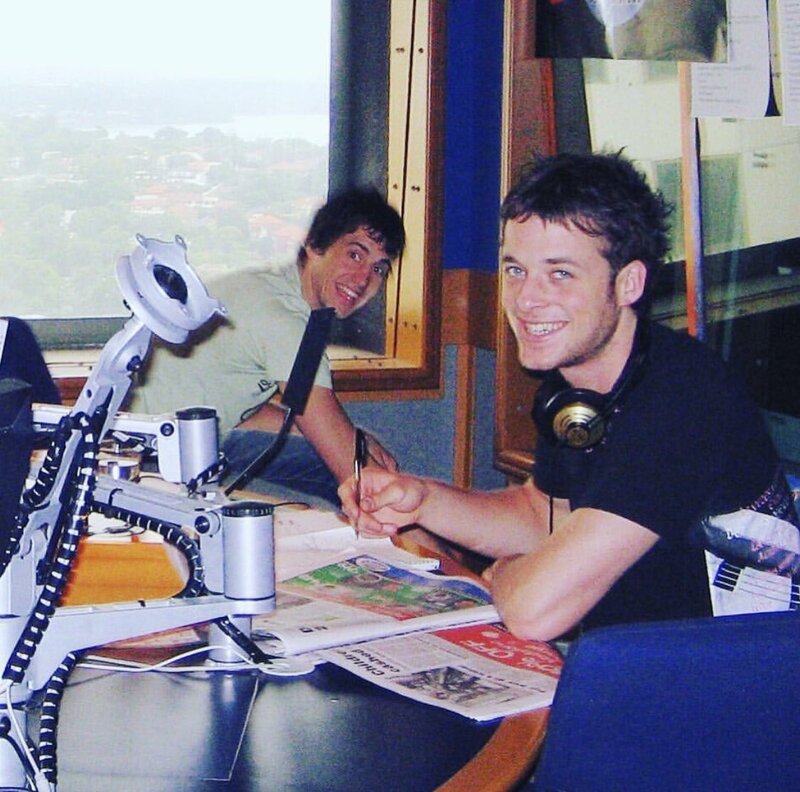 Staying on the cutting edge of science, current affairs, and experimental hairdressing have long been the three things the Hamish & Andy show hold dearest. They also don’t mind throwing the concept of “changing the world” in there for good measure too. Recently on the show Hamish proposed a bold scheme that encompasses all four of these notions. Let’s read on. Apart from carrying a few extra kilos for a film role (or not for a film role, depending on whose side you’re on) lately, Hamish has also been sporting a mean mullet. Scientists have theorized that with his rapid weight gain of late, his body was not able to cope with his accelerating size and therefore stored new fat deposits in his hair, creating his new mane. However testing has shown that the mullet’s chemical make up is a 90:10 split of “hair” and “awesomeness”, with “fat” appearing nowhere on the ingredients list. Sadly though, all good mullets must come to an end, as he has to shave his head for the final part of filming. The mullet is to die. Or is it? Hamish & Andy believe it may be possible to completely lacquer Hamish’s hair with some sort of plastic resin, bonding the mullet into one piece. An engineer (or hairdresser, whoever closer) then shaves the head and what comes off is (hopefully) a solid one piece mullet. Kind of like when Han Solo got frozen in Empire Strikes Back, but this ain’t to hang in the lair of an intergalactic warlord, this is for a good cause. If successful, Hamish & Andy will be renting out the mullet, with elastic chin strap for easy wearing, for special occasions with the profits going to flood relief charities as part of Mullets For Monies For Mates. If you would like to rent the mullet (if the plan works) name your reason and the price you’d pay here. Stay tuned as more barriers of science/headwear are conquered.